Over the past few months I have received some direct messages on my social media accounts inquiring as to my whereabouts. One fellow actually asked on Facebook ”Is biker Billy deceased?” I can assure you I am alive, upright and taking fiery nourishment. 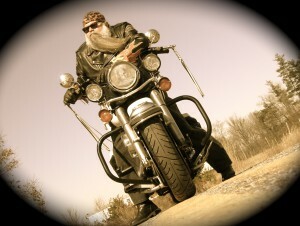 I am still living in and enjoying riding in the motorcycle nirvana known as Western North Carolina. I have also been very busy in the kitchen cooking up some delicious new recipes. As I write this today being a Tuesday, it is tamale time in my kitchen; take that as a hint about things to come. So what happened that some folks thought I expired? Well I must say it is my fault. At the end of 2014 I saw an opportunity to take some much needed time off from the road-show-merry-go-round. Since I started Biker Billy Cooks with Fire in 1993 I have been on a whirlwind adventure of TV, cookbooks, road shows and the daily grind of keeping it all running. It is something I have always loved doing and still do. So much so that I previously hadn’t allowed myself to completely take a timeout. Yet more than 20 years after the publication of my first book, I looked around and realized I was missing a lot of my own life. Time is the most precious thing any of us has; we can’t earn it, however we can choose how to spend it. At the beginning of 2015 I just disconnected from booking events and I chose to spend the year at home. I still spent some time on social media but as the months rolled by I pretty much let go of that too. To those that I have disappointed by my being absent, please accept my apologies. I just never could bring myself to post a notice saying the equivalent of “Gone Fishing” or more apropos “Gone Riding!” I truly value all the wonderful folks I have met through the years. It is the people that I have met and shared the passion for motorcycles and fiery foods that makes what I do so enjoyable. You have been missed. Waiting to hear what you are going to be up to. Hopefully I’ll get another chance to assist you cook those hot peppers of yours like I have twice before. It was great fun and they tasted great & HOT! Thank you. There will be more shows and events, hope to see you on the road! Glad to hear you didn’t ride off into the sunset on a final cookoff. I do enjoy a good sunset, Lord willing there are many more sunsets and lots of good cooking ahead! Shiver me timbers, them’s some great inaoimftron.